Is it possible for my truth to be different to your truth? Can something be true today and not true tomorrow? Is there any connection between truth and right and wrong? 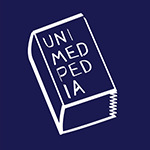 In line with pretty much every word exposed in Unimedpedia, the true energetic meaning of truth has been hugely corrupted to humanity’s great disservice and indeed downfall. "One of the most destructive forces on earth is the re-interpretation of truth, which translates to being an act that corrupts and debases the truth. Through the corruption of truth we have the ultimate weapon – divisiveness. If you and I have two different meanings for the same word, and we can live those two different meanings, then we are divided by the assumed authority of our truth, an interpretation we are prepared to stand for, and in many cases, some people will fight to uphold their truth. But, what if the truth we assume or think or believe is true, is in fact not ‘the truth’? The deceiving deep ill of having differing truths means that one of us is going to be right and the other one wrong or, potentially, both of us can be wrong. In differing truths, we both cannot be right because there is a difference, and besides, energy is or it is not, that is, energy does not have two meanings. And therefore, there is only one Truth, and that is the Energetic Truth." Truth is not about using the right or correct words. Two people can write or speak exactly the same words and one will be true and the other a lie. It is the energy of Truth that unifies when it is expressed and not simply the words that are spoken. We all know Truth because truth is who we truly are. It is a quality of the Soul and as such resides deep in the heart of every single one of us. But if we are not living in connection to our true selves we will keep falling for the vast array of un-truths that sound good, clever and even right but if we are honest do not feel true. We allow these un-truths to muddy the waters and blur our awareness as to what is truly true. Truth in essence is simple, it simply is.... and yet it is also vast, all encompassing, universal and unifying. To reduce truth by reinterpreting in part, even the tiniest bit makes it no longer true, for to be true it has to be true in whole. As Truth is of our essence, to not express Truth is actually very painful and causes great harm and dis-ease. We often choose to not be aware of all the ways we hold back on truth and so to read about True Truth or to be faced with a person who is living and expressing in their truth, can be very confronting. Some find Truth so confronting they are driven to do all they can to destroy it and those expressing it. However, Truth like its other Soul siblings Love, Harmony, Joy and Stillness cannot ever be destroyed, as it is who we innately are. Honesty comes before truth is known. If we choose to live in separation to our Soul then at best we can be honest, but never true. Without truth there can be no evolution because to evolve simply means to return to the one-unifying love and wisdom we initially separated from. And so ‘my truth versus your truth’, untruths, half-truths and concocted truths are simply decoys we use to further delay our return to the truth we left. This gives us a clue as to why there has been so much bloodshed throughout history in the name of ‘truth’. However, Truth by virtue of its equalising nature unifies all and so if the truth that was presented and claimed as truth is used to humiliate, vilify, separate or even kill, to name just a few, it shows that it was not a true truth. A truth that is truly true can never seek to persecute or pursue separation in any form. Nor can it impose an ideal, belief or need onto others nor consider lesser those who do not follow it. This is because there can be no Truth without Love. True love will never seek to leave another behind and will always allow the space for another to choose under the Law of Free Will to come to truth in their own time. So, what is it in us human beings that makes us shy away from Truth and accept surrogates of truth that are not truths at all? To be willing to see Truth we have to be at least willing to expose what is not true. That is, we have to be willing to expose that part of us that is making choices that keep us in separation to our true selves. This means admitting that all the ideals, opinions, beliefs and images we have taken on and identified with as being our ‘own’ have not come from us at all and as such have done nothing to evolve us as they have kept us away from the true knowing of our inner heart. Thus, the big ouch that we all feel is in knowing that we have been fundamentally dishonest as well as irresponsible in accepting and living all that is not true. In that, the pain of our unloving choices is deeply felt and this is exactly what we try to avoid. However, in being willing to see Truth, we also have the opportunity to feel that Truth is and always has been present in our inner-heart in all its grandness yet absolute simplicity. Therefore, in any given moment we can make the choice to give up the game and re-connect to that which is already there within us as we re-learn how to live and express this in full once more. “It may not be long before we have to spell the word ‘truth’ backwards. The word Truth derives from the Old English triewp via the Old German triuwida and the Proto Germanic trewwj, meaning having good faith. The word true, seems to originate from the Proto-Indo-European word dru, meaning tree and is related to the notion of steadfastness. In its original meaning, the word truth was used to indicate faith, fidelity, loyalty, honesty and veracity. Nowadays, it is mostly used with reference to fact or reality or adherence to an original or to a standard or ideal. Although Truth is absolute, it is interesting to see that it has often been defined as something related to a fact, a reality or something solid. Thus, it has come to be primarily although incorrectly used to identify something outside of oneself and evaluated by viewers in its accuracy. In this sense, such ‘truth’ is subject to interpretations, inevitably leading to different versions and to relative truths. Hence, what is absolute and whole can now be viewed, albeit incorrectly, as divided and fragmented and the battle of ‘my truth’ over ‘your truth’ begins. However, truth can never be relative. There cannot be my truth against your truth. For Truth to be true it has to be absolute. The absoluteness is that everyone and everything is held equally as One. “The true truth, the truest of all truths is that we all come from the one source of light. That source is the Divine light that is the creator light/energy of all life. When we separate from our essence our body is able to tell us that we are living in a way that is not true or natural for us hence the many illnesses and woes experienced in the world today. "The insatiable search for the highest truth that is naturally within us all must not ever be allowed to be repressed. We seek more simply because we come from more, that is, we are more." In truth there can only be one truth – as truth is truth.